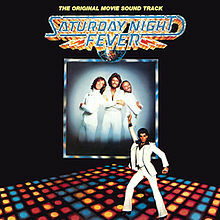 Here’s a #MusicMonday for you – all the great songs from “Saturday Night Fever” thanks to BeetleyPete! In 1977, I went to see a new film that everyone was raving about. It was a drama set in New York, about a young man who wants to rise above his background and life in the neighbourhood by becoming a dancer. It starred John Tavolta as Tony, ably supported by a group of young American actors, including Donna Pescow and Karen Gorney. It wasn’t a musical, but it was all about the music. After watching the film, I soon bought the soundtrack album on vinyl. ‹ Mark Wahlberg Admires My Bacon-And-Egg iPhone! Great Celebrity Adventure! Hi, John. Many thanks for the reblog. It is much appreciated, as I am sure you know. It was a great collection of videos form the movie – what great songs!